As the year comes to an end and most of you have put the bikes away and are preparing for some Christmas cheer and some storytelling, I thought it was a great time for reflection on the year that has been. This year has seen some amazing achievements from our members in all disciplines, from our youngest and newest in the Mini X through to our seniors and our special Hall of Fame inductees. Our clubs and volunteers have put together top-quality facilities for everyone to enjoy and they work tirelessly behind the scenes to make it all happen. One thing that impresses me the most about sitting in the role of President of MWA, is the passion and commitment to motorcycling that all of you show. This sport never fails to deliver some of the most exciting memories for all with lifelong friendships and experiences that will never be forgotten. We are the motorcycling community of Western Australia and it is fantastic to see everyone working together to make it even better. Our organisation has undergone some significant changes over 2018 from a change of management, staffing restructure, change of President and a new direction. I would like to personally thank our retiring President Mr Peter Clark who put his heart and soul into the role and steered the organisation through some difficult times. Thanks also to our outgoing CEO Mr Rick Gill who worked tirelessly for many years and to staff member Joanne Back who always greeted people with a smile and was willing to help out in any way possible. Times are changing and we as an organisation need to evolve and change as well. Our new CEO Joe McCarthy and his new team at MWA are passionate about our state and the sport and are committed to working with everyone to continue to grow and exceed. The introduction of Ride Parks Australia is an exciting new initiative that enables clubs to open their facilities for all to use, generating new revenue and interest. The new initiatives with speedway and flat track are progressing well. We have signed an MOU with Sporting Car Club of WA in an effort to work together to get racing back at Barbagello and we are in regular contact with developers of new projects in our sport. Our team are currently working with our clubs on the return of the State facility levy fee which will see most clubs have a small cash injection to put back into their facilities which in turn will benefit all riders. Your MWA Board volunteers met recently and spent the day working on a new strategic plan for the organisation moving forward into the next 5 years. A key focus of the day was supporting our clubs to become successful, vibrant, engaging and welcoming which lead to development of the following mission, vision and values that will drive us forward and underpin everything that we do. MWA Vision – JUST RIDE. MWA Mission: to support, promote and grow motorcycling. MWA Values : Excellence, Community, Innovation. Nationally as part of MA the Alliance Agreement has been implemented as a means of bringing together all the State Bodies and Motorcycling Australia in a commitment to working together. The team are currently working on plans for restructuring in 2020 with a new financial model to underpin that and reviewing our insurance product for the next few years. A key area for me as your representative is to work towards the return of significant events to WA as soon as we can to showcase the elite level to our community. A passion area of mine is supporting gender diversity in sports, whether that is behind the scenes, riding, leadership, officials or simply just being part of the sport. It is also comforting to see that our organisation is one of the State Sporting organisations leading the way in terms of gender diversity and programs to support it which has been recognised by the Department of Sport and the Minister. 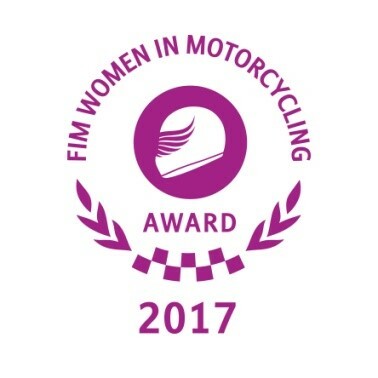 I am looking forward to my new role on the FIM Women’s Commission and representing our country internationally in this area, it’s an honour and a privilege to be given this opportunity. On behalf of our Board and staff, I would like to thank each and every one of you for your passion for the sport, your contributions over the past year and look forward to a bigger and better 2019. Don’t hesitate to get in contact if you have some ideas or suggestions to help us on our new pathway. Merry Christmas to you and your families, I hope that you all have a wonderful festive season and look forward to seeing you all in 2019.